The video game giant Electronic Arts says it is improving its systems for elevating safety and harassment issues that emerge from its player communities in order to ensure the company addresses them. The changes have been a long time coming and are desperately needed, sources tell Kotaku. Two sources familiar with the community management structure at EA—one current and one former employee, both of whom requested anonymity, one for fear of reprisal from EA, the other because they still work in the industry—have told Kotaku that the policies are new to them. To their knowledge, this is the first time the company has had a formal method for its community managers to escalate threats. The new policy was e-mailed by the global director of core community and the Game Changers program to the company’s community managers on March 12. “When in doubt—Report,” it reads. What follows afterward is a chart that outlines all the appropriate steps to be taken in the event of escalating a threat. It is specific about scenarios that should prompt community managers to escalate concerns about. Those situations include issues of their safety and the safety of their players, situations that might harm the company, involve threats, or involve claims of abuse. Both sources that spoke to Kotaku said that they were unaware of a formal policy or procedure prior to the e-mail. The two sources that spoke to Kotaku said that this situation with the EA Game Changer shouldn’t have happened and would have been easier to resolve if community managers had more resources and better training. 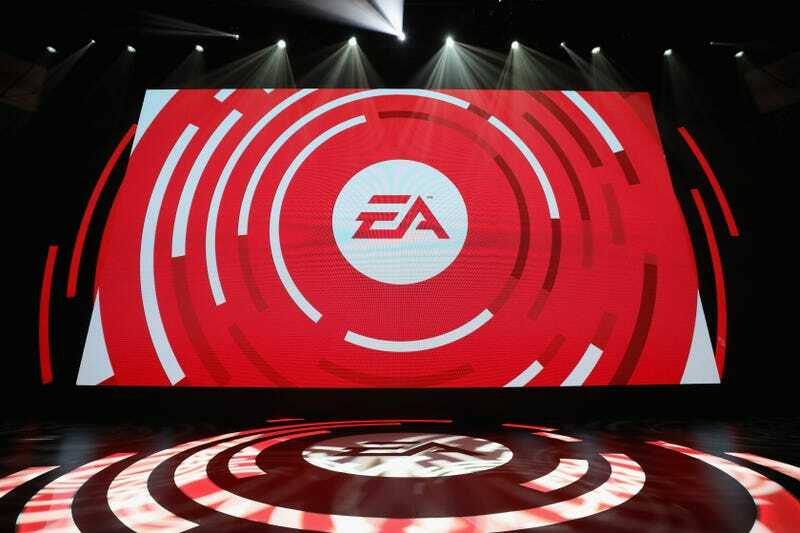 The source that currently works at EA said that concerns have also been raised about the aggressive tenor of EA’s sports events. The source who worked in EA community management until recently said that when they worked at EA, they had to build safety protocols for their game’s playerbase from the ground up, including protocols stipulating whether or not the EA Game Changer program should include minors. However, after this source left EA, they say that their safety protocols got rolled back again. The current EA employee said that safety protocols like these were non existent while they have worked at the company. Kotaku reached out to EA for comment about the company’s community management training and safety protocols, and we received replies from Adam Tanielian, the head of global community engagement at EA. He said that while the company’s policies on escalating concerns about threats are still in progress, the system fundamentally works. We’ve been unable to reconcile our sources’ claims to have been unaware of escalation protocols and EA’s claim that such protocols are simply being updated, implying they’ve been around for a while. Companies like EA are run and staffed by people, and people make mistakes. But with such a large company working with so many young people in its games’ communities, mistakes in community management can lead to young people being hurt or exploited. Working with numerous, large communities does not mean that those kinds of scenarios are inevitable, either. It just means that it’s essential to provide community managers with the training and resources they need, and to take their concerns seriously.